The Rocketship Lands in Calgary! 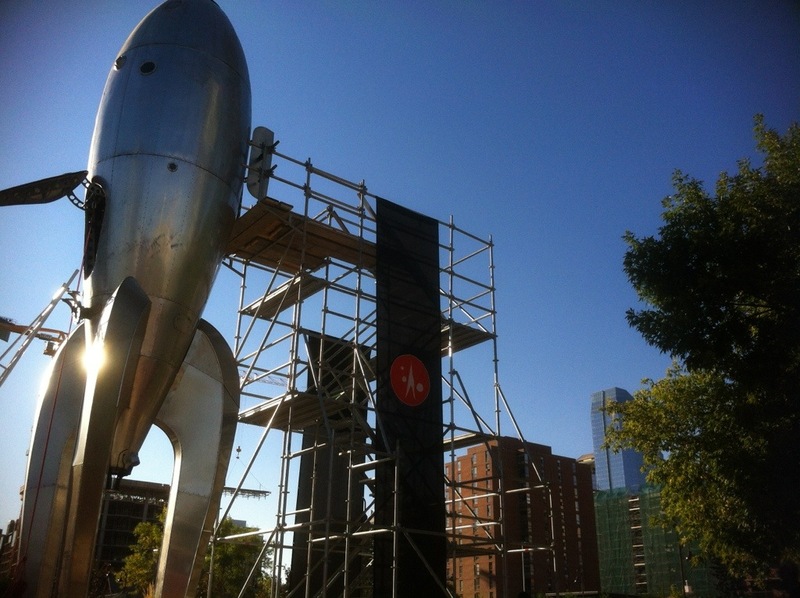 I’m in Calgary, Alberta for a week with Five Ton Crane and the Raygun Gothic Rocketship. After travel through the Black Rock System, The Crucible Belt, Maker Fair, NASA Ames, and two and a half turns round Sol on the San Francisco embarcadero, our fair lady has landed at Beakerhead. This is the inaugural year for Calgary’s science, art, and engineering festival and we are proud to provide the flagship installation. So if you are in Calgary this week, come on down to Victoria Park and say hi! The Rocketship will be open daily for tours. Climb to the top of our streamlined beauty and recline in the captains seat, explore the navigation deck and biolab (watch your fingers! ), and check out my rayguns and bronze mission pennants. We’ll be here through September 15th, 2013.